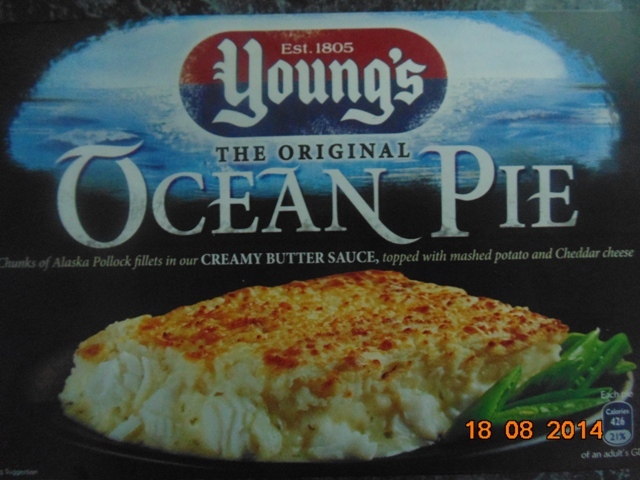 This week’s Ready Meal Monday review is of Young’s Ocean Pie, which I shared with my niece and fellow Wheelie Good Meal member Alice. I know I say it in posts quite often but we do not work with any company or brand all products reviewed under the Ready Meal Monday section are bought by myself (unless my mother buys them of course) :). 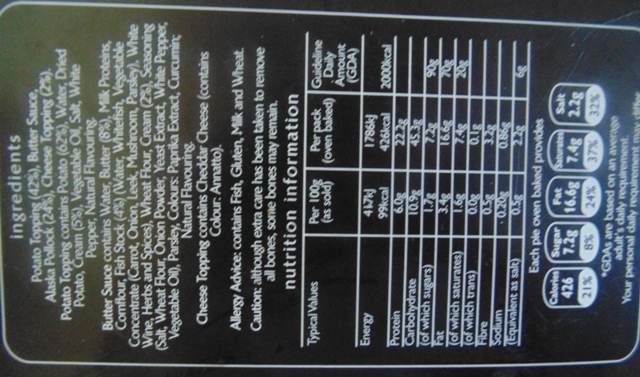 Please see the ingredients list below along with the nutritional information, I don’t know a lot about the calories but, if like the box says, our daily intake is meant to be 2,000 then I think 426Kcal for this pie is steep. 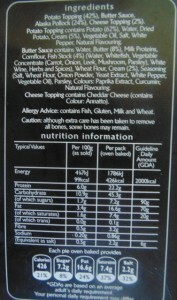 However, if you’re not calorie conscious then this is well worth the 426 (and maybe more)! That was a good description so as we cooked it we were all ready excited (sad I know) but we’re foodies and we’re proud of it. 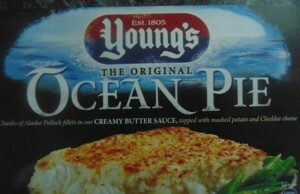 It really did do what it said on the box in all fairness, the sauce was creamy and rich with an unctuous buttery taste. It’s consistency was smooth and luxurious and for a ready meal very impressive. The chunks of fish, and they were chunks, were soft but tasted of white flaky fish. I’ve eaten fish pies in the past where the fish has practically dissolved into the sauce and you don’t even know they are there but this was quite impressive. I also felt the sauce was seasoned very well which is always a bonus, there was not too much salt and pepper. 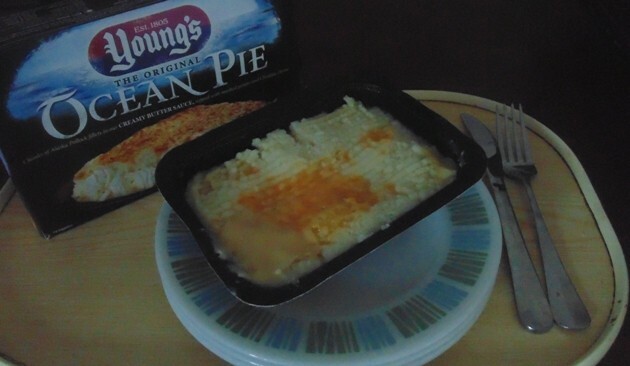 The pie, as I’ve said earlier was topped with mashed potato and cheddar cheese, this possibly could be the only draw back for me. I don’t know if Alice would agree with me but I think the cheese, as tasty as it was, may have been a little bit needless. 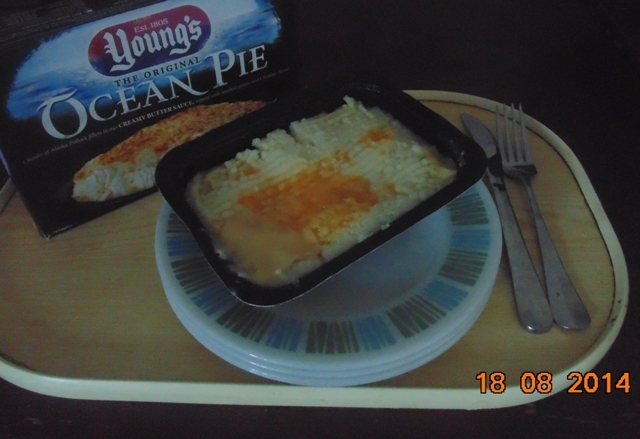 I did find it a little cloying to which slightly tinged what was by far the best ready meal of the series (so far). The potato had a lovely consistency to it and was not stodgy as some mashed potato pie toppings of ready meals can be. I was however, a little confused by the cooking instructions for the microwave, as you can see from the picture below they seem to be fairly needlessly repeated. For 750W it’s a process of Cook on full power for 6 minutes, stand for 1 minute and cook again for 3 1/2 minutes on full power, this is also the case for 850W Microwaves. This duplicated piece of information in my eyes may cause someone with a learning disability difficulties when trying to microwave the meal. However, I felt the packaging was very clear and easy to understand. What are your thoughts? As you can tell Alice and I were impressed with this one and therefore will certainly be buying it again. It did everything you’d want in an Ocean Pie, it was warming comforting and tasty – and it used sustainable fish… Happy Days!! 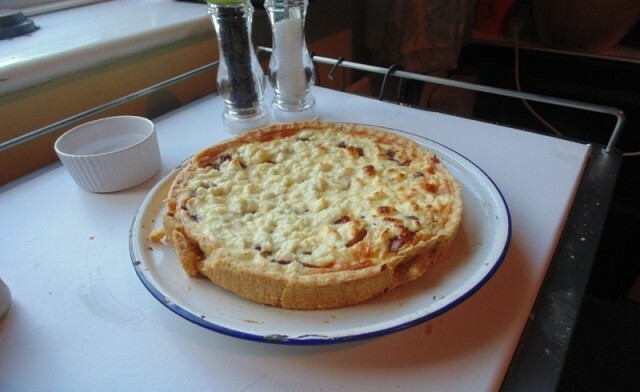 Check back soon for our next Next Monday’s “Ready Meal Monday” review which will be next week’s ready meal is Weight Watchers Chicken & Lemon Risotto and also for our next recipe on Wednesday of Graham’s Caramelised Red Onion and Goats Cheese Tart. Don’t forget to get involved at Instagram, Twitter, Youtube, Google+ and Pintrest. What are your favourite ready meals, do you find them easier than cooking, let us know your thoughts. Also if you have any other cooking tips, ideas or recipes share the love with us. 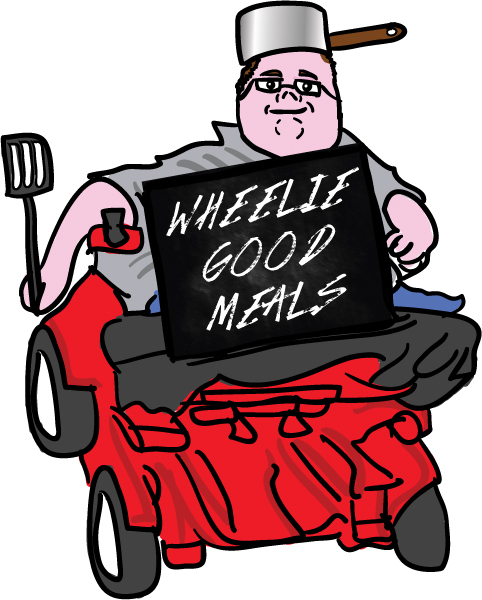 We’d love to hear from you we want you to get involve and help Wheelie Good Meals develop. If you have any questions you’d like to ask about either myself or the Wheelie Good Meals concept please feel free to drop us a line on enquiries@wheeliegoodmeals.co.uk. Come back again soon and, together, we’ll make more Wheelie Good Meals!